Applications are invited to fill the position of Community Development Officer. This is a full-time position with the Town’s Administration Department reporting directly to the Chief Administrative Officer. JOB SUMMARY: The Community Development Officer (CDO) is responsible for research and development, economic/community development and communications. The incumbent will assist the CAO with policy development & strategic planning. The primary role of this position is the research and development of various initiatives in a wide range of topics including economic development, community development & municipal policy. 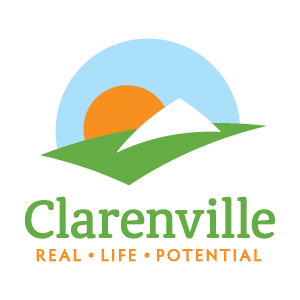 The incumbent will also serve as the communication officer for the Town of Clarenville and maintain the Town website and social media accounts. The incumbent should have considerable knowledge and experience in the field of municipal policy, economic development & strategic planning. Work experience in a municipal environment is preferred. Candidates must possess initiative and demonstrate good organizational, analytical, communications and interpersonal skills combined with the ability to work independently. Project Management skills including budget preparation, grant applications, report writing is required; must be proficient in Microsoft Office software. These qualifications would normally be acquired through the completion of a bachelor’s degree in business or communications combined with at least 5 year’s experience in a municipal setting. An equivalent combination of education, training and experience may also be considered.